Among the many performance opportunities readily available to weACADEMIES students and teachers, is Glorious Christmas Nights (GCN) — a large-scale performance ministry outreach to the Richmond area community and beyond — staged during the Christmas season by the Music and Fine Arts Department (MFA) of West End Assembly of God (WEAG). Each year this Broadway-style musical production, featuring original musical score, script, and choreography weaves a family-friendly storyline that takes its characters through a variety of sometimes comical and sometimes poignant twists and turns to arrive, ultimately, at the manger in Bethlehem. 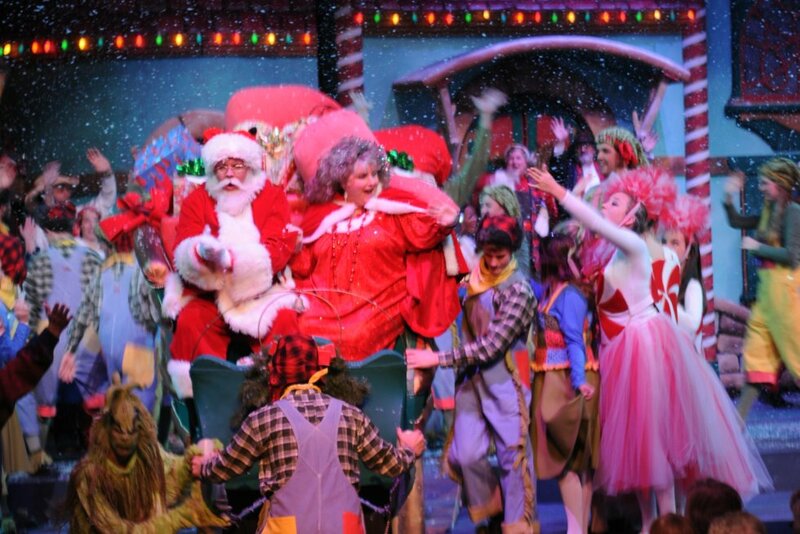 A cast and crew of hundreds of children, youth and adults fill a variety of onstage, backstage and support positions. Current and former students and teachers of weACADEMIES, who are encouraged to use their gifts, talents and training in all MFA projects, figure prominently in casting the various dance, vocal and dramatic roles. weACADEMIES teachers choreograph, direct and write for the production, and Music Academy teachers, and some advanced Music Academy students, also routinely perform with the GCN orchestra. Participation in GCN is not restricted to Church members, however, and information regarding open auditions for vocal, dramatic and dance roles, held in the early fall, will be available on this site as well as at weag.org. Tickets for 18 GCN shows, held during the first two weeks of December, will be available, in early October, online at Glorious Christmas Nights, where details for mailing or phoning in ticket orders also may be found. And, while logged on to Glorious Christmas Nights be sure to check out the photo galleries, trailers, and DVDs/CDs of past WEAG projects. Glorious Christmas Nights on Facebook!